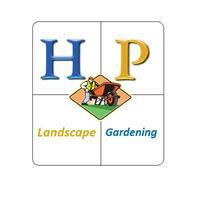 Henden & Pilling Landscape Gardening - Fencing/Gates, Landscaper based in Guildford, Surrey. We are a two man business and between the two of us we have over 10 years' experience. We have a lot of pride and dedication put into everything we do. From the smallest hedge to the biggest patio, we drive for 110% satisfaction from every customer and don't leave until you are happy. Our biggest achievement is that we have not had a bad review yet on any of the work we have carried out and always create a kind and friendly relationship with all of our customers. We specialise in patios, fencing, driveways and all garden features from water features to plant beds you name it we do it turning your garden experience into a relaxing get away. Also we are able to create that garden you desire or using our special skills in garden design. We deliver nothing but the best for every customer that we work for delivering a high and reliable standard. With our wide range of landscaping skills gives you the opportunities to create or have us create the garden of your dreams, from modern design to vintage or oriental themes, giving you the chance to escape and relax in your new garden. Also having your garden brought to life can increase the value of your property if you ever decide to sell your house.